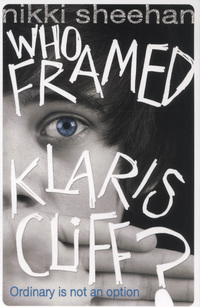 Who Framed Klaris Cliff? is a debut novel from Nikki Sheehan. It deals with the curious phenomenon of imaginary friends from the point of view of Joseph, a self-confessed not-imaginative-at-all boy, who is being bothered by someone else’s imaginary friend! So far, so original! And another exciting aspect is that this world of the book is identical to our own except for one thing – the Cosh. This is an electrical zapping procedure carried out on people who have an imaginary friend, in order to zap the ‘being’ out of existence. Why? Because of some over-hyped incident a few years back, referred to as ‘Shorefield’ in which a whole family was found murdered and the blame was placed squarely on an imaginary friend. 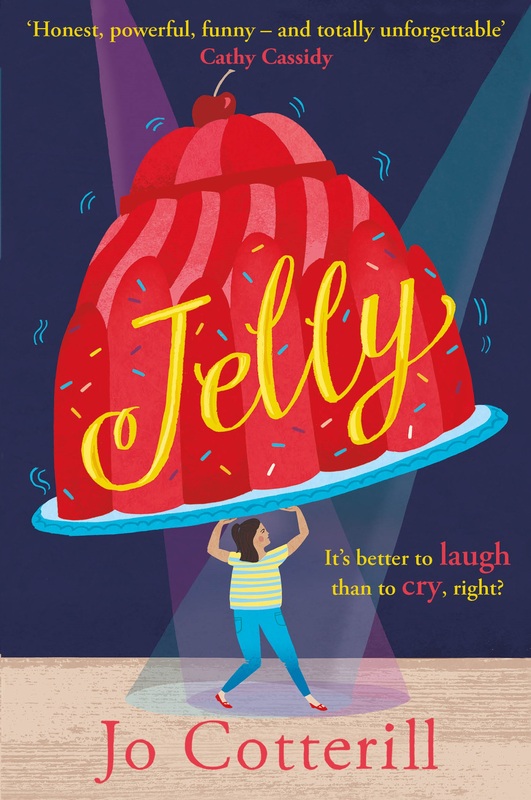 I really liked this: it explores the idea that perfectly sane people get carried along by mob mentality (and the Daily Mail) into making crazy decisions and believing impossible things. However, I did have a fundamental problem with the idea that an imaginary person could exist in a solid form, enough to wield a knife etc. Perhaps I’d have been more inclined to go along with it if the deaths had been less obvious – mental exhaustion or confusion, maybe? Anyway. Joseph is in danger. His best friend Rocky has a younger brother called Flea (short for Felix) who has been communicating with an imaginary friend (Klaris) for some time. But Klaris is showing signed of ‘migrating’: that is, she’s started talking to Joseph too. Well, not quite ‘talking’, but making her presence felt. Joseph finds her annoying but not dangerous, and it’s only when Flea’s dad reports Klaris to RIPS (Rogue Imaginary Person Service) that Joseph realises both he and Flea could get the imagination part of their brains zapped out of existence. And that’s a scary thing for Joseph because that’s the only part of his brain that can remember his mother, who left two years ago and didn’t come back, despite promises that she would. The style of the book is extremely accessible, written in short chapters and with lots of dialogue. Joseph is a great ‘voice’, turning detective as he tries to work out who is really responsible for the long list of events Klaris is being blamed for. The auxiliary characters are also great, and I particularly liked the twins Egg and Wills (the section about a swallowed key made me laugh out loud). I confess that I wasn’t blown away by the ending. I won’t give any spoilers, but it didn’t quite end in the way that I expected and also threw into doubt the whole concept of imaginary friends, which the story had used to such great effect earlier. However, it was an enjoyable read and I’d be intrigued to know how Nikki came up with Klaris’s name. Is it a deliberate reference to the ceramic artist Clarice Cliff? I will add that I think the book deals superbly with the concept of bureaucracy overcoming common sense, and is truly shiver-inducing as the threat of the Cosh draws nearer – the menace only heightened by the belligerent, ignorant local councillor (who is also an Elvis impersonator, which is funny but terrifying) who has been sent to pick up Flea and Joseph for the medical procedure, regardless of the evidence. It could provide a fascinating talking point for kids: at what point should one reject rules from authority if they are damaging? Is there a case for rebellion? Are the rights of the individual greater than the risks to others? Some deep stuff here, but because the book is so accessible, it could be read and enjoyed by anyone from 10 upwards. Posted in reviewsTagged Nikki Sheehan, Who Framed Klaris Cliff?